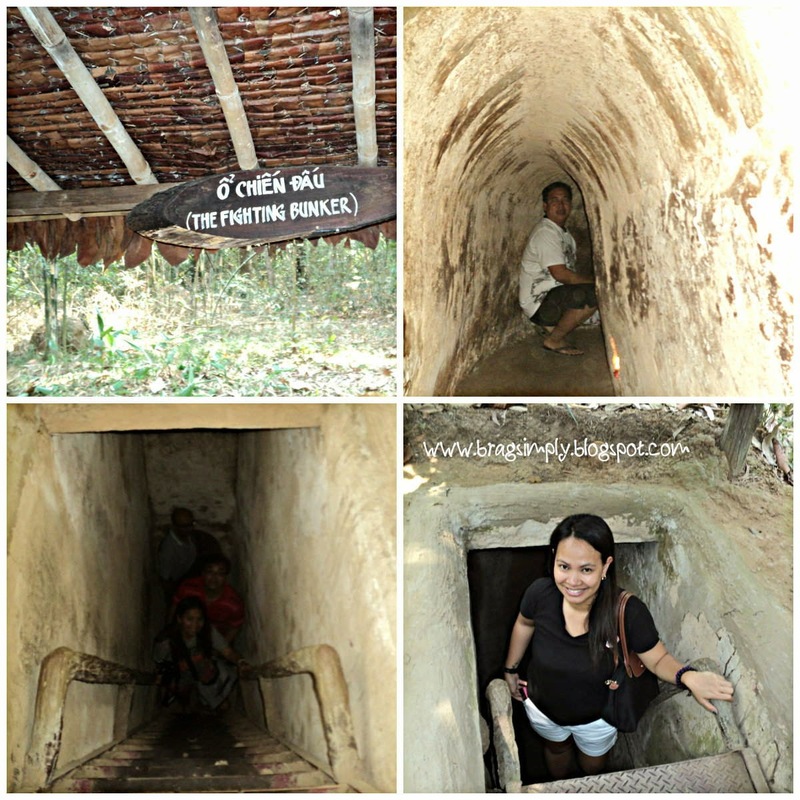 Cu Chi Tunnel Day Tour | To Be, To Be. Tutubi. 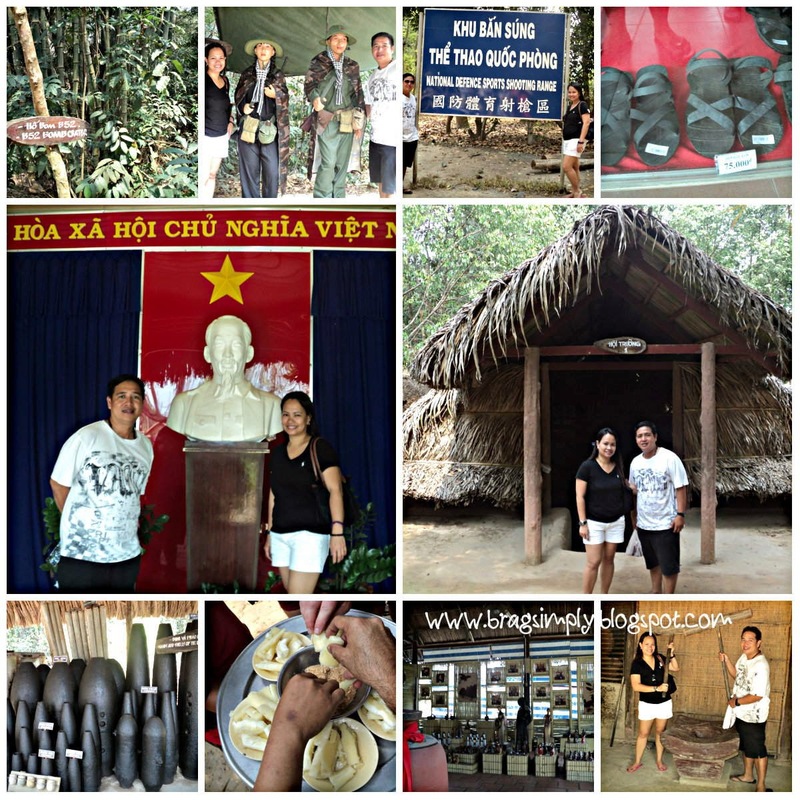 The visit to the Cu Chi Tunnels was the highlight of our visit to Ho Chi Minh city. I love the movie Platoon, so you can imagine my fascination with all things related to the Vietnam War. And the visit to the tunnels is a must! After that short visit to the showroom, we were dropped off in this jungle. The first order of business was an orientation in one of the huts on what the tunnels looked like, how life was like living in the tunnels, how they get around, how they killed, how they cooked food and basically, how they really lived in the tunnels during the war. And then we started walking along the forest to see the actual tunnels and the traps that Vietcongs made against their enemies. 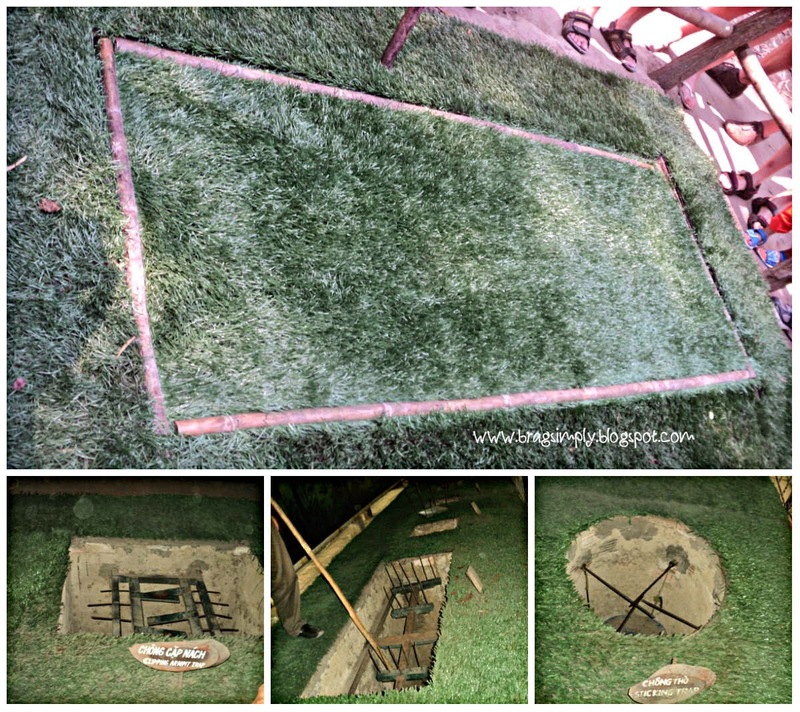 The above are just samples of what terror lay under a bush, or a hastily covered trap! I think you have seen enough of them in movies, and yup, they were real! The guide above is showing us how the soldiers used the tunnels to escape from their enemies. 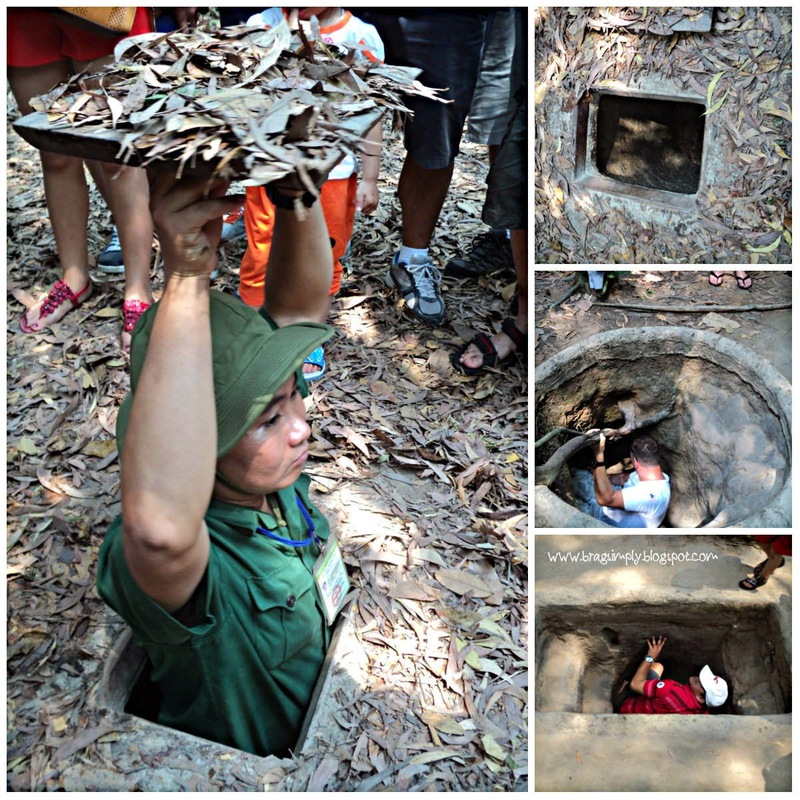 Of course, Vietnamese like us Filipinos are small and they can easily fit those tunnels but can you imagine a full grown Caucasian going inside that hole? 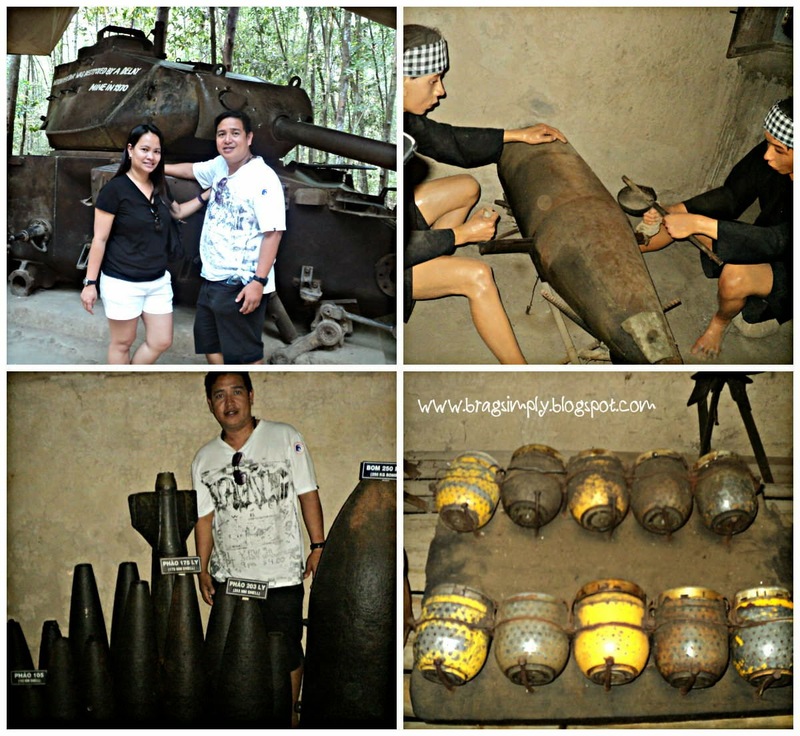 These are actual tanks, bombs and landmines taken in the forest, and a scene depicting how they re-use bombs. Yep, we went inside one of the tunnels, but had to go out immediately a few meters after because it was so tiny and we were already having problems breathing! Can you imagine living under these? 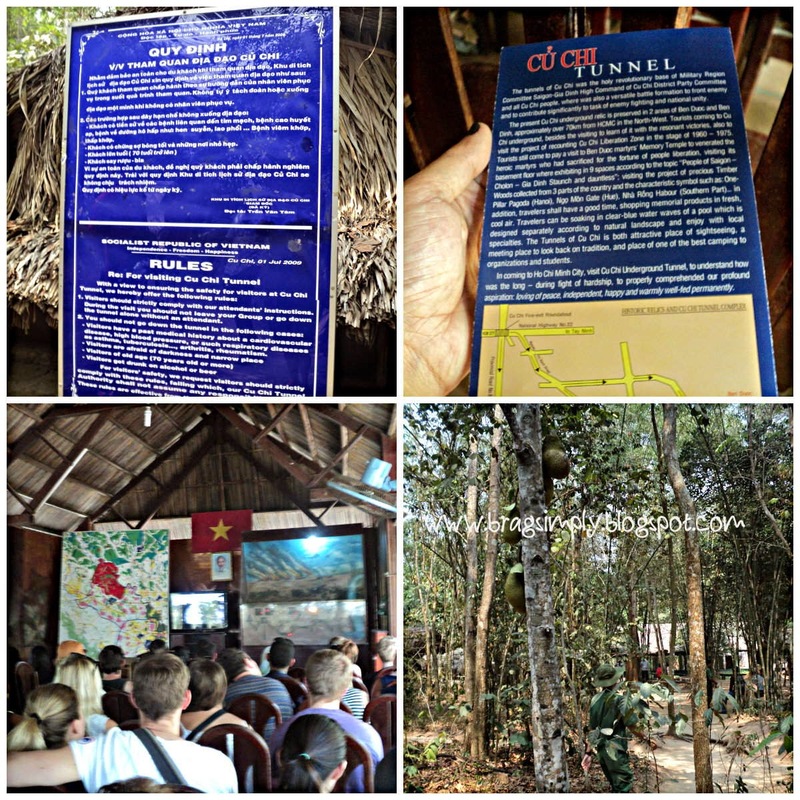 A visit to to the Cu Chi Tunnel is indeed a must, to see how ingenuity beats technology every time, and how nobody really wins in a war.